What's so great about being "normal" anyway? 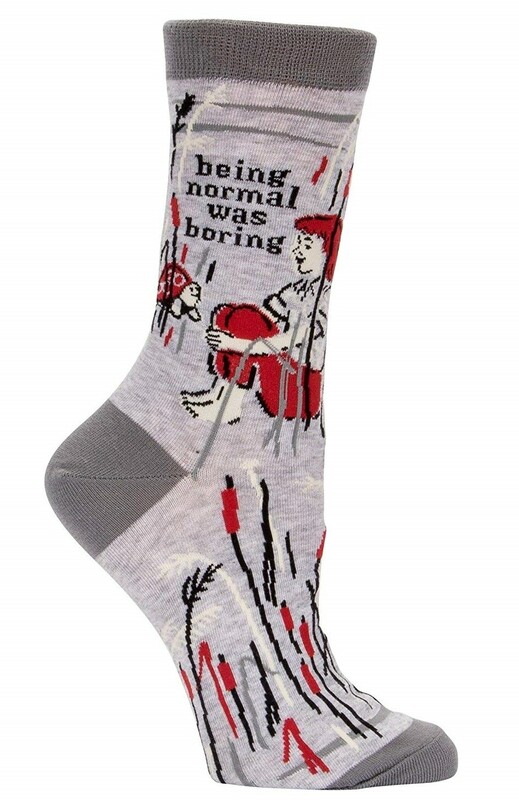 These colorful 58% cotton/40% nylon/2% spandex socks from Blue Q remind everyone who sees them that life is a lot less interesting when you toe the line! 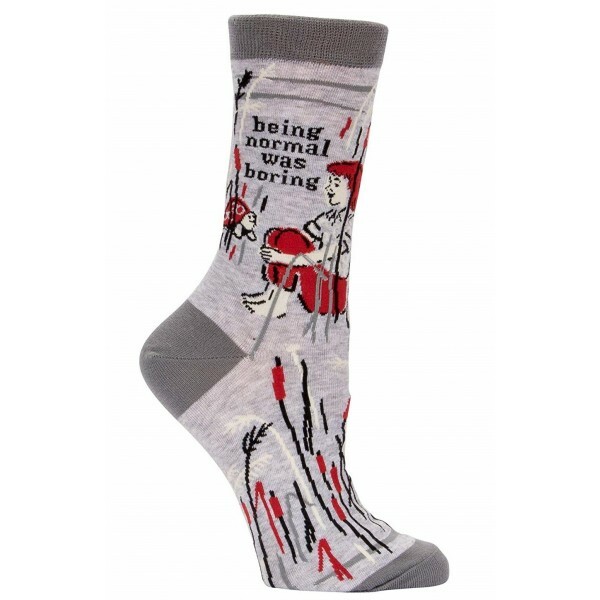 This comfy crew socks are available in one size which fits most women's shoe sizes 5 to 10. Plus, 1% of sales benefit Doctors Without Borders/Medecins Sans Frontieres!